The McAMS Yamaha team are ready and raring to go as the 2019 Bennetts British Superbike championship gets underway at Silverstone this weekend. 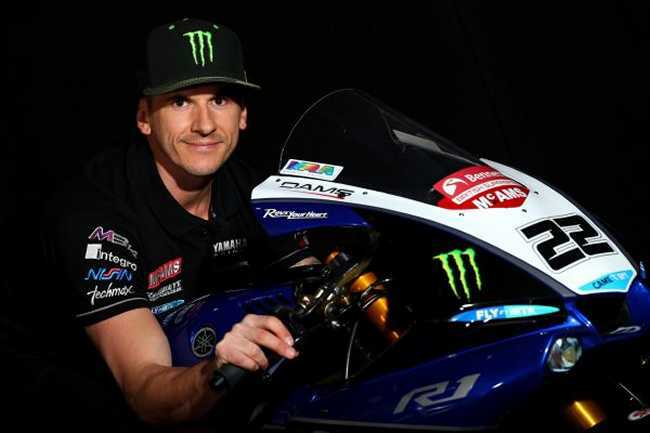 It’s been a busy winter for the squad, based at Raceways Motorcycles in Fleetwood, as they looked to develop Yamaha’s YZF-R1 to launch a title attack on this year’s championship with the returning Tarran Mackenzie and new-signing Jason O’Halloran. Mackenzie and O’Halloran began testing for the 2019 season back at a shakedown test at Almeria in December, before the bikes underwent extensive development work back at base. The team sees a number of significant changes for 2019 with Kev Stephenson taking over engine development and Tim Seed taking over all things electronic, while ex-MotoGP Ohlins technician Mike Norton moves across to look after suspension. The winter’s development seemed to take the team in the right direction with both Mackenzie and O’Halloran immediately comfortable on the bike as the squad returned to Europe for the official BSB tests at Monteblanco and Portimao in March, where O’Halloran was second quickest at the first test before topping the timesheets in Portugal. One final test at Silverstone last week showed the 2019 McAMS Yamaha package to be in a strong position on British tracks too, with Aussie O’Halloran rounding out the pre-season on top heading into this weekend’s first round. Despite the strong pre-season, the team are under no illusions – BSB is one of the toughest championships in the world and with proceedings getting underway at the 1.6-mile Silverstone national circuit, which produced some of the best racing of the season last year, things are expected to be close as O’Halloran and Mackenzie look to fight at the sharp end. BSB rookie Matt Truelove heads in to round one with a slightly different approach as he continues to learn about riding the YZF-R1 in superbike-spec. Two solid finishes this weekend is the target as the Lincolnshireman looks to make a name for himself in the premier class. Free practice gets underway at 10:20 on Good Friday with Sunday’s races scheduled for 13:30 and 16:30.